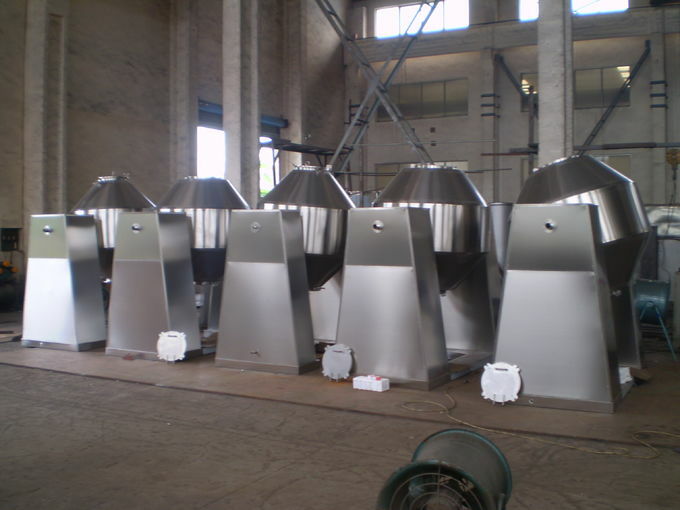 Double cone mixing machine consists of support part, the hopper, motor and transmission. It’s widely used in food, chemical and pharmacy industry to mix dry powder such as milk powder, coffee powder, wheat flour, corn flour, maize flour, rice flour, oats flour, protein powder, cosmetic powder, chili powder, onion powder, spar powder, chicken powder, gourmet powder, egg powder, washing powder, detergent powder, talcum powder, condiment, solid drink, veterinary drugs, dextrose, pharmaceutical, titanium oxide, powder additive, moringa powder, agriculture pesticide, dyestuff, and so on. The raw material is under vacuum. The drop of steam pressure makes the moisture (solvent) at the surface of raw material reach the state of saturation and evaporate. 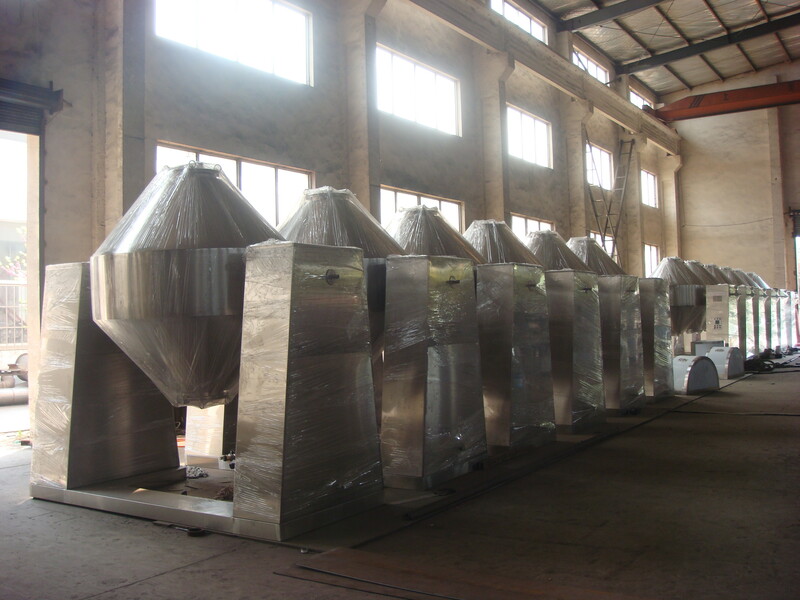 The solvent will be discharged through vacuum pump and recovered in time. The inner moisture (solvent) of raw material will infiltrate, evaporate and discharge continuously. The three processes are carried out unceasingly and the purpose of drying can be realized within a short time.